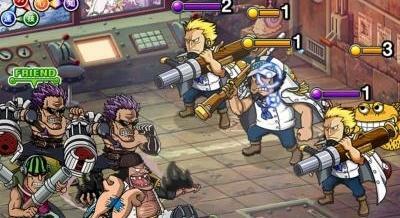 It's difficult to get Shooter crews in Global version. Prepare correctly! 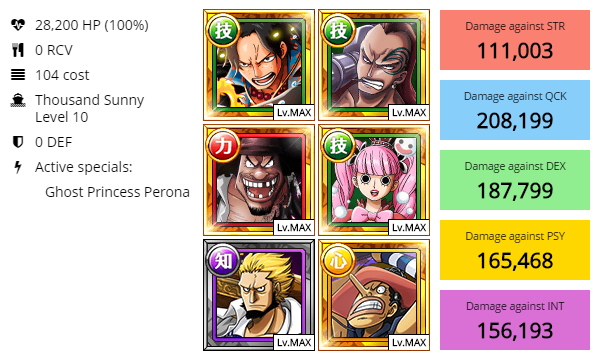 GP Usopp is a must have ! Blackbeard must have! 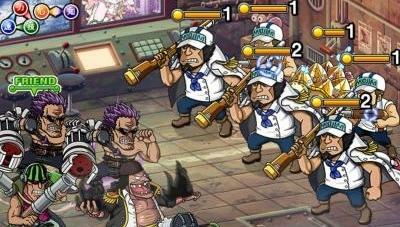 His special will clear Bossstage marines in a go! Requires low Special cooldown ! 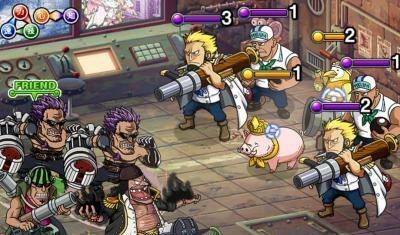 As such to beat the 30-Stamina (Expert) version of the island – a Shooting team is highly recommended. Appearing with a very weak Cannon mob – you can really ignore him and focus all efforts on the Minorhinoceros. 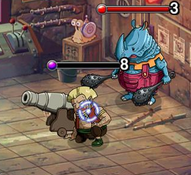 The Cannon only has 1 HP and can be cleared with any single-attack. She appears with 5 Marines (one of each color) and they have high defense with low health. It is advisable to kill the Marines before they can launch multiple attacks against you which will really stack up. Every 2 Turns after: Lock a random unit for 2 Turns. Due to this attack pattern – expect to always have at least 1 unit locked at a time (unless you run Unlockers). It is advisable to try and burst her down from 20% to 0 to ensure an easy victory. Not much to say… He’ll attack every turn. But he won’t do anything “special”. Expect to take a hit at least if you don’t run decent STR Units. Very tough Fortnight without Zephyr. i cleared it with this crew. Make sure to have some special ups. Blackbeard special on bossstage is a must ! 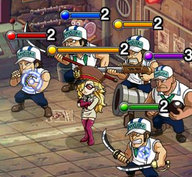 GP Usopp and Perona for SOS secure. 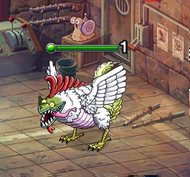 May use Perona on Miniboss because he really hits hard to survive Domino Pre-emptive! No need for Blackbeard. But a lot of socketfarming. Since GP Usopp is in almost any Team he and Perona should have Silence/ Chain maxed. 20 Points in Silence will block dominos pre-emptive completely. To get rid of all the Marines use Don Kriegs special. The poison will burn through their defense as true damage ! 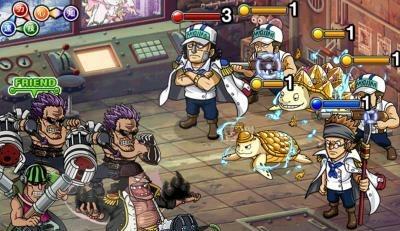 Use perona to block a heavy attack if needed. 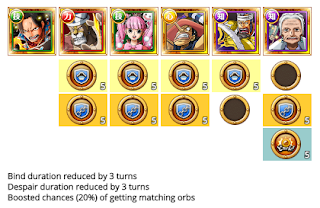 Since we use SW Ace as a friend here, it can't be wrong to bring a 20% Orb matching chance socket with you. 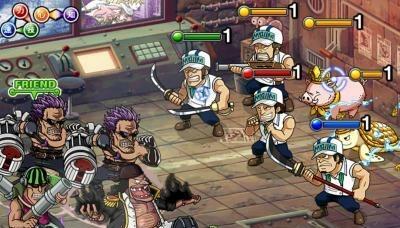 Helpful Characters to counter the Boss marines: Use his Special to get rid of all marines !